Fans of Downton Abbey don’t have much longer to wait before the movie version of their favourite TV show hits the big screen this year. There’s something about life in a grand house with servants that appeals to us, and for many it would be a dream come true to live in a Downton-style home. Mrs Gill Howard has been lucky enough to live that dream for the past 20 years. 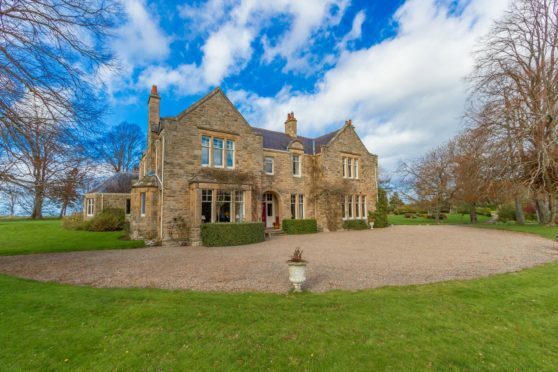 Her home, Ardgilzean House, on the outskirts of Elgin, is a magnificent period country house which sits in the centre of 27 acres of grounds. Like Downton Abbey, in the past it has been home to families with staff – old servants’ bells can still be seen in the kitchen – and it is handsome enough to look like something out of a film set. 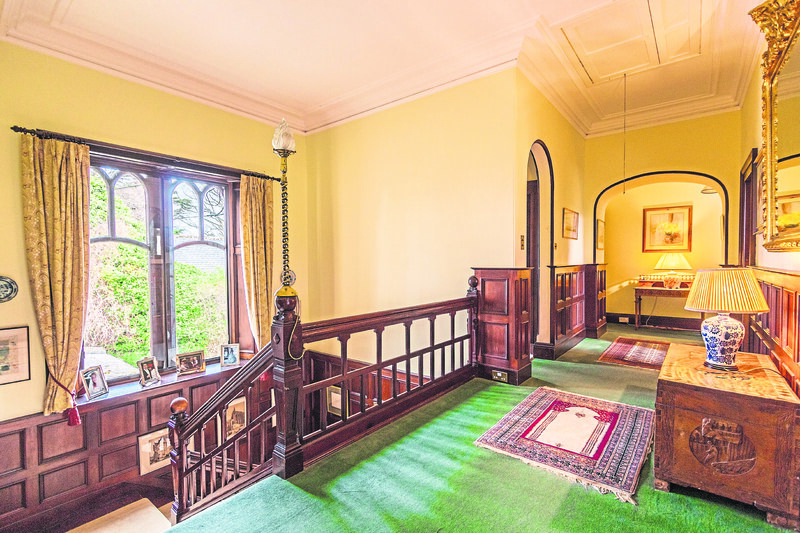 Dating from 1897, it is a magnificent example of Victorian architecture and still boasts a raft of wonderful features such as wood panelling, ceiling coving, fireplaces and raised skirtings. “My late husband Laurence and I were living in East Sussex and felt like moving somewhere that wasn’t quite so busy,” said Gill. 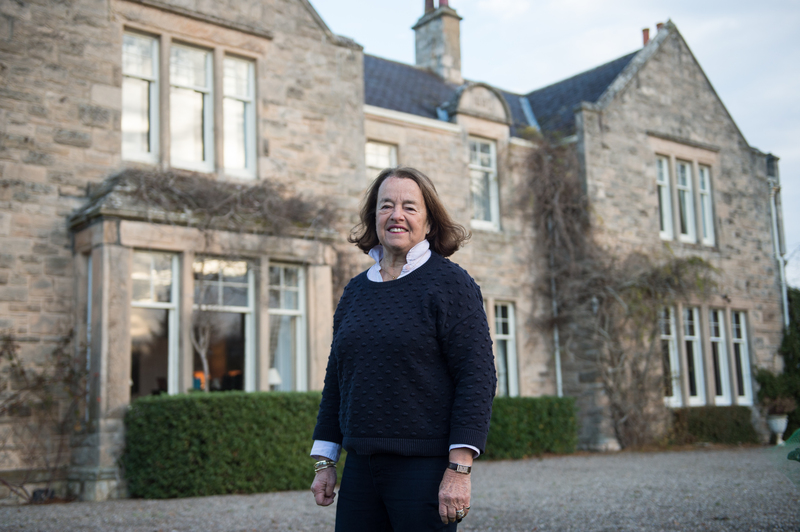 Gill Howard at Ardgilzean House. 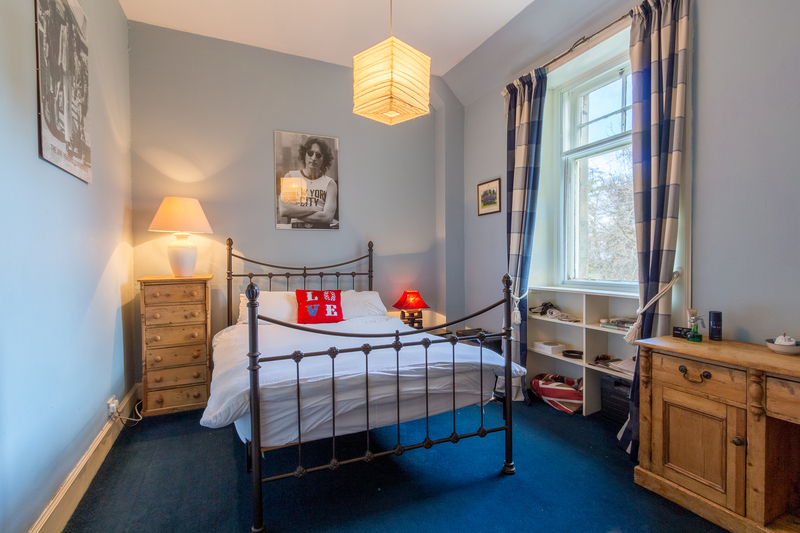 “We found Ardgilzean House and felt it was perfect for us. That’s a lot of rooms as on the ground floor there’s a grand reception hallway, drawing room, sitting room/TV room, dining room, dining kitchen, two pantries, utility room, boot room/WC, wine cellar and a log/coal store. Upstairs there’s a master bedroom with en suite, six further bedrooms – two of which have en suite facilities – and a family shower room. “I think my favourite room is the large panelled hall with its lovely staircase. “It’s not hard to imagine in the past, someone coming down the stairs in a ballgown. You enter Ardgilzean House via a sweeping drive that cuts through wonderful gardens and on entering the property, you’re in an impressive reception hallway with distinctive wood panelling, staircase and a large wood-burning stove in the corner, all of which combine beautifully to create a magnificent first impression. The two large, front facing main reception rooms are on either side of the hall, and both have a host of features and a bright and airy feel. The drawing room is a beautifully proportioned room with bay window and fireplace with inset open fire while the formal dining room is equally impressive with an array of traditional features. 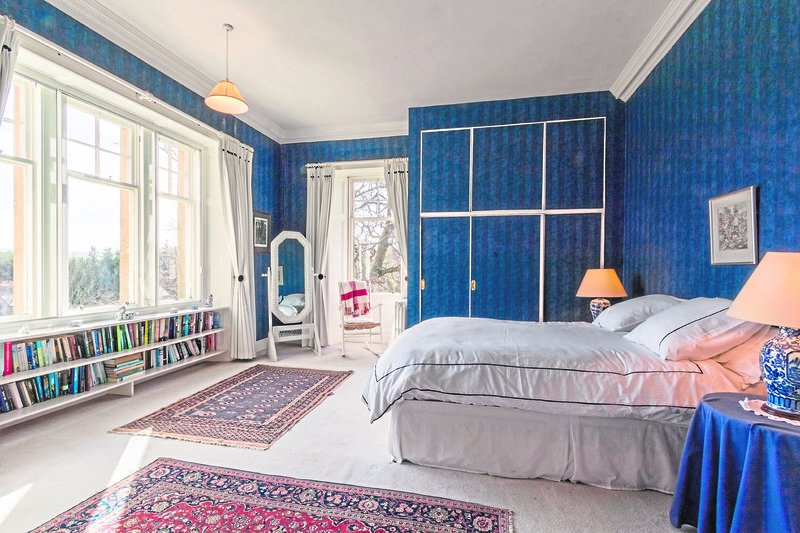 “The house is south facing so it is a very bright and light home,” said Gill. 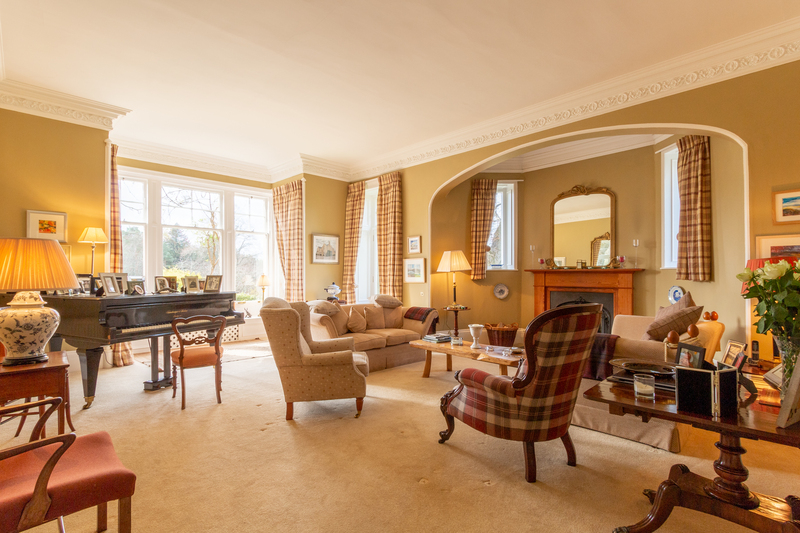 To the left of the reception hall is an inner hallway leading to a sitting/television room with a large open fire and beautiful leaded glass windows and further along the corridor a magnificent billiards room which enjoys fantastic views over the gardens. 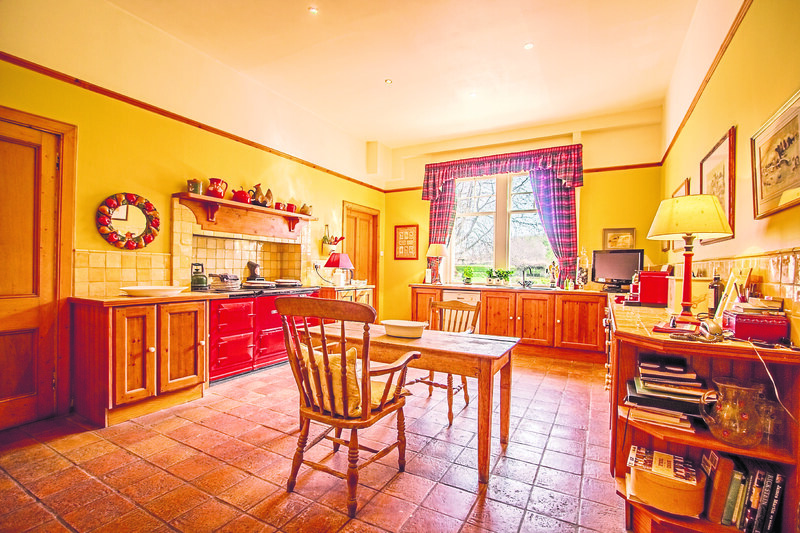 To the right of the reception hall another inner hallway leads to the kitchen which comes with a range of fitted units, an Aga and a sperate informal dining area. “At one point the house had its own proper running kitchen garden,” said Gill. The upper level of the house is equally spectacular and access is via a stunning, bespoke staircase as well as a further smaller maid’s staircase adjacent to the kitchen. The house sits within established private garden and grounds which are laid mainly to lawn and bounded by mature trees and shrubs. 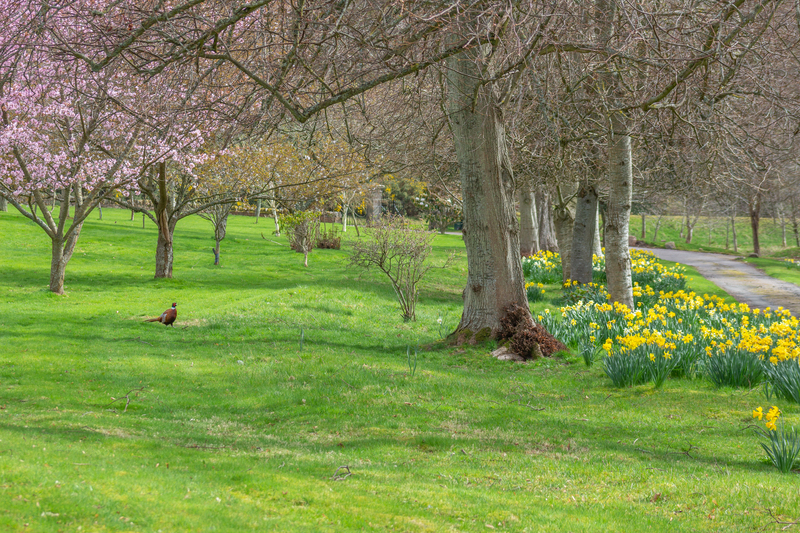 There is an area of amenity woodland on the boundary of the property and a number of useful outbuildings, which include the former stable adjacent to the main house. While in need of refurbishment, it provides a fantastic development opportunity, subject to the appropriate permissions. In the past, the grounds have been used for equestrian purposes and this could easily be re-established if required. There is a detached garage block with four garages, storage and a large summerhouse conservatory attached. “Moray is a wonderful place to live and this house is also wonderful but it really needs a family in it now. “Our sons are grown up and living elsewhere so the house is too big for me now which is why I’m selling,” said Gill. 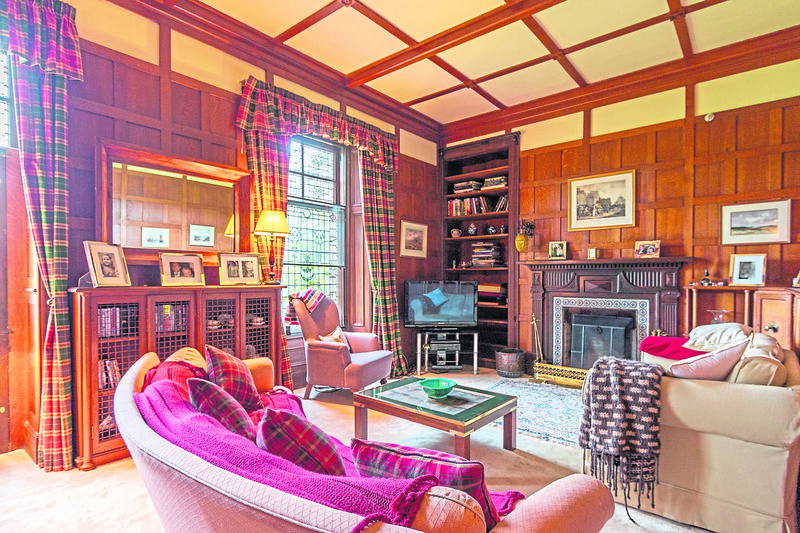 On the market at offers over £950,000, Ardgilzean House is perfectly positioned for anyone looking for a grand house in Moray, which with its gentle climate is often referred to as the Riviera of the North. Elgin, the capital of Moray, is just a short drive away and home to a host of shopping, business and leisure amenities. The house is conveniently located off the A96 which makes it ideal for access to both Aberdeen and Inverness. Contact: Strutt and Parker 01463 719171.